If, for what ever reason you need to contact us, there are a few ways of getting in touch. Or, you can simply fill out the form below, and it will be sent to our email. We'd love to hear your thoughts and comments, and, if you or your child has an idea or request for a session, let us know. 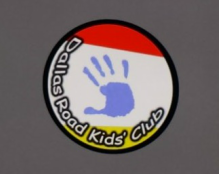 If you are in any doubt as to where we are, you can find us on Dallas Road in the big white building we share with the Boys and Girls Youth Club. Just ring the bell on the front door and a member of staff will let you in. We also have within the building a pre school for 2-4 year olds. If you are interested, please follow the link here, or ask a member of staff for more information.